Here are a couple pictures of a friend and I working on the largest diesel I have ever had the privilege of operating. 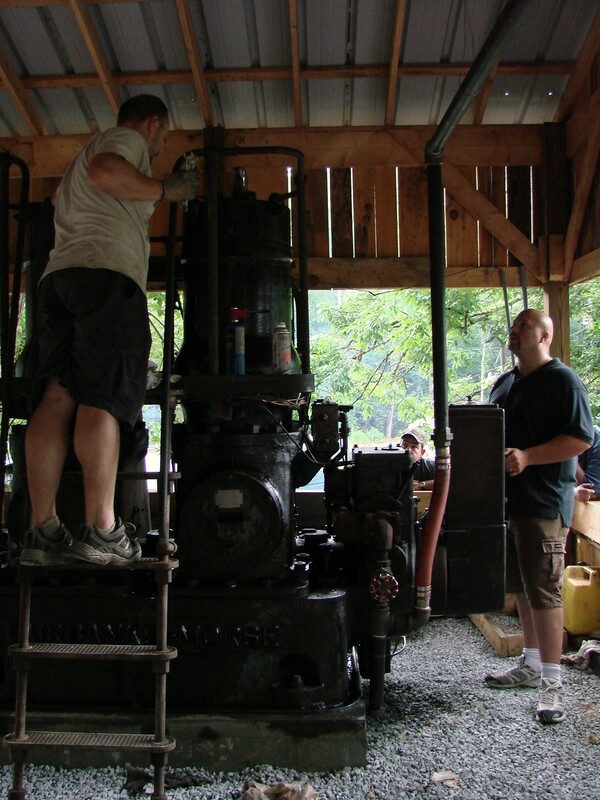 This is a Fairbanks Morse 2 cylinder diesel engine that is on display at the East Tennessee Crank-Up. 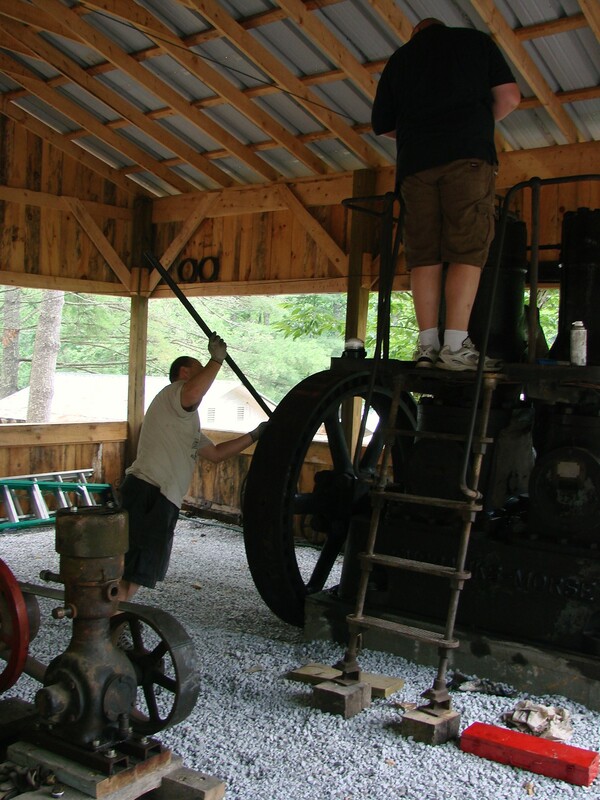 We will be operating this engine along with many others at this years show May 31-June 2nd. This would be a great educational adventure for any other Full Time Families that are in the Johnson City, TN area this time of year. If you would like directions or more info, please feel free to contact me. I would be more than happy to answer any question online, or better yet, in person at the show. 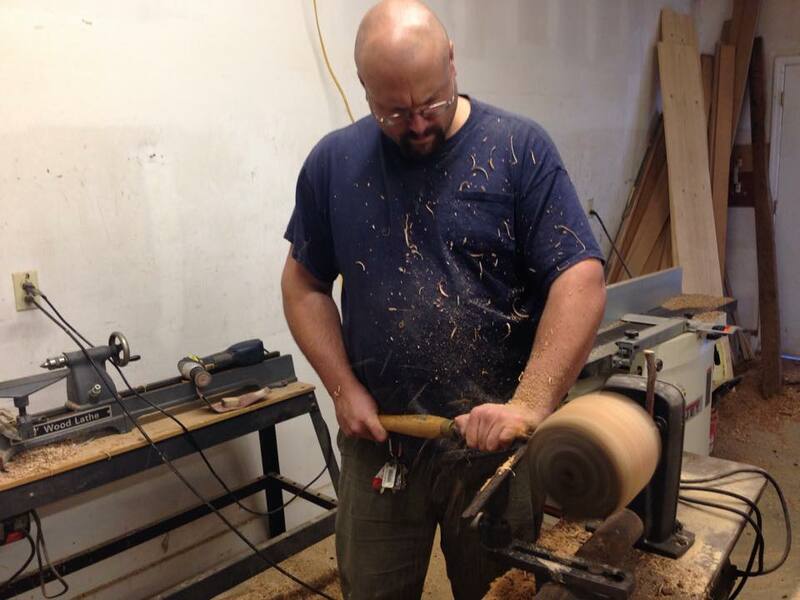 Drew Talbert is the other feller in the pictures, his lovely wife Amy is behind the camera lens… You will be able to find both Drew and myself at the show, just look for the two guys with the most grease on them and it will most likely be us. 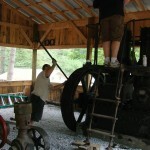 This entry was posted in Antique Engines, Family Fun on March 7, 2012 by Jody.